Rosie O'Donnell Children, Net Worth, Wife - Michelle Rounds, Is She Gay? 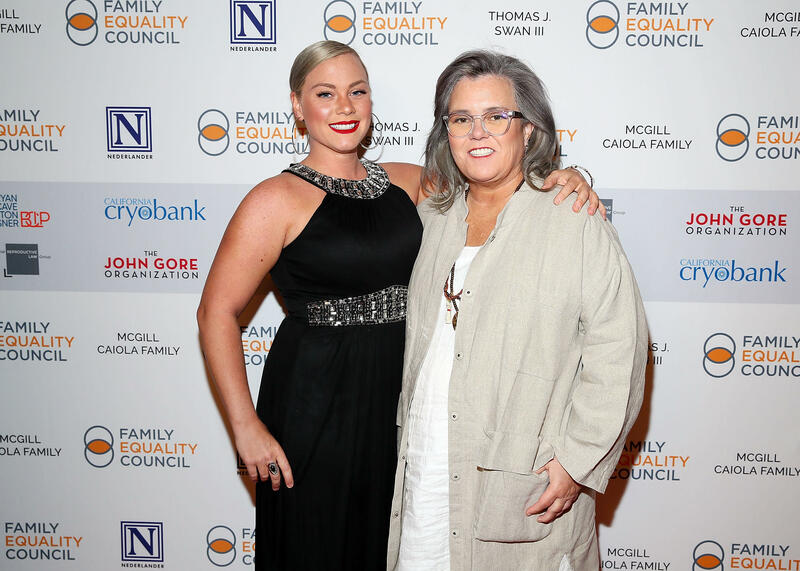 Home Media Personalities Rosie O’Donnell Children, Net Worth, Wife – Michelle Rounds, Is She Gay? Rosie O’Donnell Children, Net Worth, Wife – Michelle Rounds, Is She Gay? Rosie O’Donnell can best be described as a star of diverse talents. She is a comedian, actress, writer, TV/radio host, a TV producer, an LGBT activist and so much more. She delved into comedy as a teenager and eventually got her breakthrough on the Star Search talent contest back in 1984. After years of featuring on several TV sitcoms and movies, O’Donnell got the opportunity to produce and host her own TV show The Rosie O’Donnell Show from 1996 to 2002. This career-defining role earned her much exposure to the American TV audience and also fetched her numerous Emmy Awards. 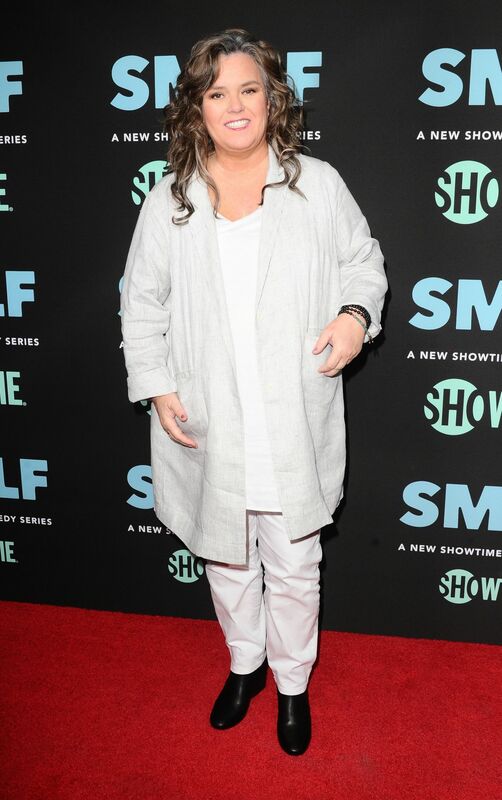 Rosie O’Donnell has also previously served as a co-host on the long-running talk show The View (2006, 2014-15) and headlined her own radio show Rosie Radio (2009-2011) on Sirius XM Radio. The iconic TV host attempted to return to Daytime television in 2011 with The Rosie Show on the Oprah Winfrey Network (OWN). However, the show lasted for just one season. Beyond her well-decorated career in television, O’Donnell has also made a name for herself as a film actress. She’s had notable roles in movies like A League of Their Own (1992), The Flintstones (1994), Now and Then (1995), Harriet the Spy (1996), as well as the highly-successful animated adventure film Tarzan (1999). The multitalented star equally had roles in several telefilms and TV documentaries including Riding the Bus with My Sister (2005), All Aboard! Rosie’s Family Cruise (2006), ShowBusiness: The Road to Broadway (2006) and America (2009). In 2017, the multitalented star joined the main cast of the comedy series SMILF starring as Tutu. Since shooting into the limelight in the 1980s, Rosie O’Donnell has had an illustrious career as she has enjoyed several mouthwatering multimillion-dollar contracts over the years. It is therefore not surprising to know that she has been able to amass a net worth valued at a whopping $120 million. Beyond the life of luxury that she is able to afford, this multitalented media icon is known to be a major contributor to several charities and philanthropic efforts. Rosie O’Donnell is an openly gay woman. The TV star made this revelation back in February 2002 at the Ovarian Cancer Research benefit held at Caroline’s Comedy Club in New York City. Prior to her coming out, O’Donnell guest-starred as a lesbian mom on the sitcom Will & Grace in January 2002. She was later honoured with the “Person of the Year” Award by the LGBT-interest magazine The Advocate and afterwards, she became a regular contributor to the magazine. See Also: What Is Oprah Winfrey Net Worth, Her Age, Height And Weight Loss Journey? O’Donnell was previously married to Michelle Rounds, a recruiter for a top IT staffing company based in New York. The duo began their relationship sometime in the middle of 2011 and several months later, they got engaged. They eventually tied the knot on the 9th day of June 2012 in a private ceremony held in New York. In January 2013, the couple adopted a child, a baby girl named Dakota O’Donnell. However, the couple parted ways in 2014 after over 2 years of marriage and Rosie O’Donnell filed for divorce in February 2015. Their divorce was concluded on March 30, 2016, and O’Donnell was granted full custody of their daughter Dakota. Sadly, Michelle Rounds tragically took her own life on September 15, 2017. Prior to the above-stated marital union, O’Donnell had a longterm relationship with Kelli Carpenter, a television marketing executive. Interestingly, she gave another shot at love in 2017 when she got together with a much younger woman Elizabeth Rooney, a police officer from Worcester, Massachusetts. The duo got engaged in October 2018 though they have revealed that they may not be getting married anytime soon. According to Rosie O’Donnell, she has opted not to have any biological children because she has a family history of alcoholism and cancer. However, she has adopted at least 5 children. She adopted her first child Parker Jaren O’Donnell, as an infant in 1995. She adopted 2 more children during her relationship with her former partner Kelli Carpenter; a daughter named Chelsea Belle O’Donnell (born on September 20, 1997) and a son named Blake Christopher O’Donnell (born on December 5, 1999). Kelli Carpenter also birthed their daughter Vivienne Rose O’Donnell on November 29, 2002, having conceived via artificial insemination. O’Donnell’s youngest child Dakota “Dax” O’Donnell (born on January 5, 2013) was adopted as an infant while she was married to Michelle Rounds.